IF IT weren’t for the familiar Joburg city skyline in the distance, we could be in the middle of nowhere – and it’s just as well. 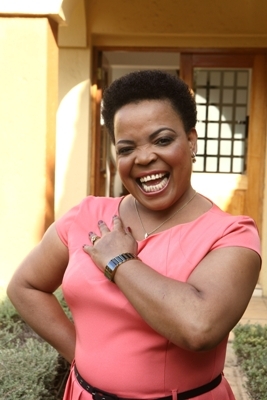 Gospel queen Rebecca Malope (45) could use the anonymity. Here she can take a stroll with her fiancé Themba Tshabalala without worrying about the prying eyes of journalists. She could, heaven forbid, even elope and get married somewhere else and the tabloid press would be none the wiser. “Eloping is certainly not on the cards,” she says with a chuckle. Tucked away near the Midrand suburbs, Rebecca’s house perches nicely at the head of the R55 drive, overlooking Lonehill and most of the northern suburbs, including Sunninghill across the N1 highway.The two-storey home is a haven for the jetsetting songbird and her sister Busi. Rebecca’s adopted children – Zweli (31), Thando (24) and Thandeka (20) – live in a different house not far from their mother’s house.